That was a long ride to Greifenburg:) I finished work at 6 in Nova Gorica and came to the camp site in Tolmin to pick up some stuff. So many people there as there is paragliding comp running. 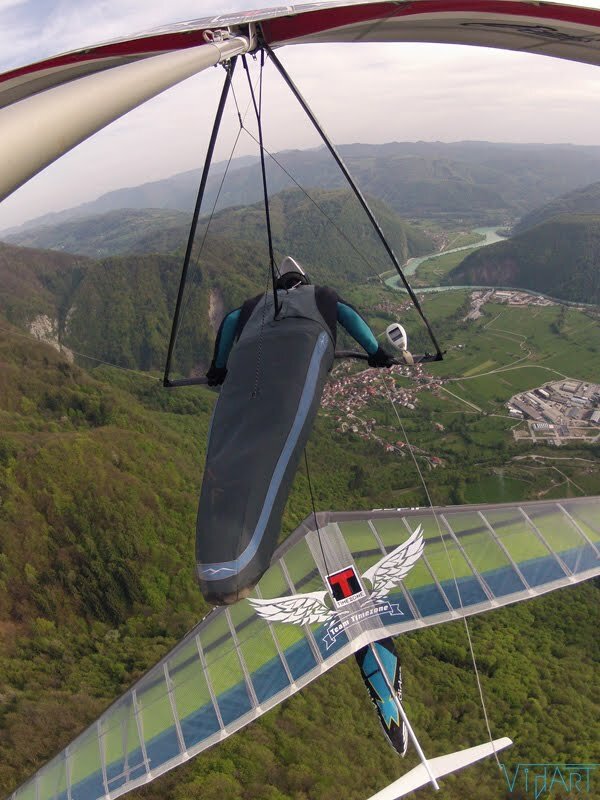 The bad forecast for Sunday was calling for a stay in Tolmin as there it was flyable. I did a evening flight with Regina the day after and then decided to leave for Greifenburg. Today it looked like there is a slight chance of the task so I did not wanted to gamble again like I did for Bassano and lost it. I spent the night on the hard floor of the car as I seat on the camelback and got the pillow and sleeping bag all wet :) Hard life.... :) We went up in the morning, Corinna kindly offered me a place in the car to the take-off. Overcast sky did not look that we will get any of the flying but in the end the task was set to 50 km and also cancelled after an hour of cold waiting. We flew then and could make the task but with a decent shower in between so there was an safety issue to it. Tomorrow looks good for a start of the race. Looking forward to it. Here is a picture of Corinna new Litespeed Rx that is available for test flights here if any one would like to test fly it. Looks good!